Discussion in 'Guitar Emporium Archive' started by Londonbus, May 7, 2016. 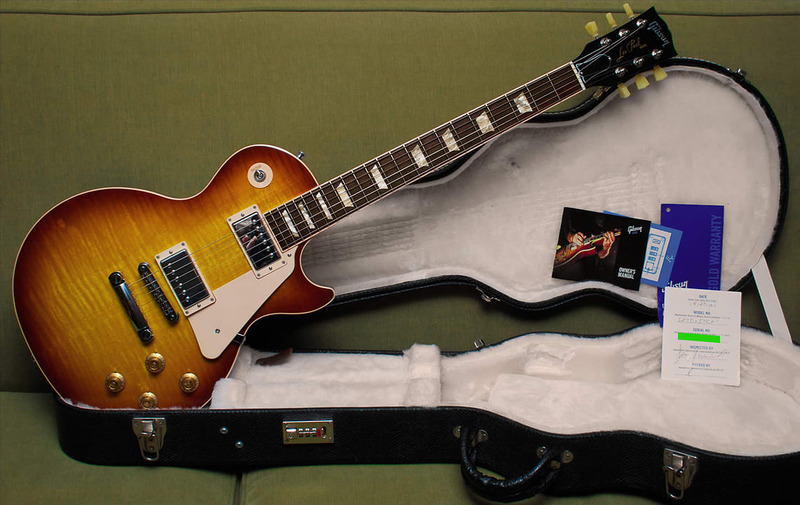 2012 Gibson Les Paul Traditional "Plus". 50's neck, 57 Classic/Classic+ pickups, case, tags. Beautiful guitar that plays and sounds wonderful. I'm not sure of the exact weight, but it is just a touch lighter than a guitar I own that I know weighs 9lbs exactly.